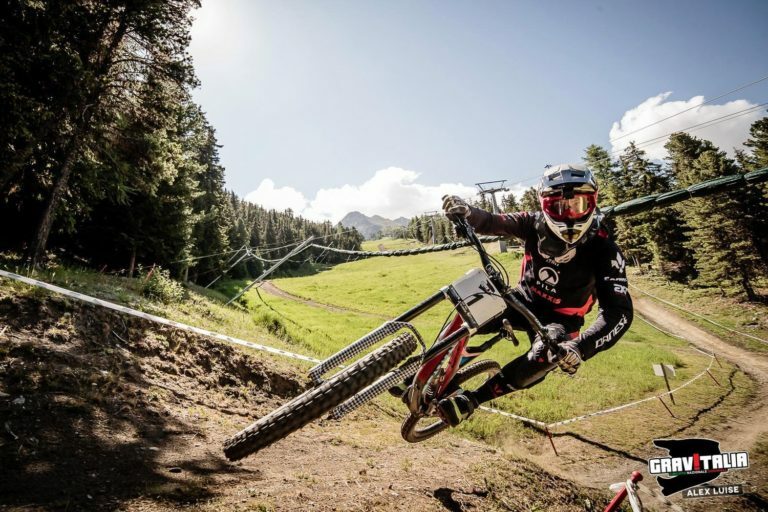 Pila first came to the fore back in 2005 when it hosted a rather wet round of the Downhill World Cup which saw Brendan Fairclough score his first podium aged just 17. The bike park has steadily expanded around this downhill course to the stage where there are now around 8 trails accessed from the same chairlift that criss-cross each other through the forest. Mixed in with this are numerous, loamy, unmarked trails that can easily be found if you keep your eyes open giving you a huge number of possible variations. In addition to this you also have the awesome freeride trail (also with many variations) that runs from the bottom of the Pila lift, all the way down to Aosta in the valley which is a whopping 11kms in length and there’s a new enduro trail from the top of the Couis lift and you have more than enough riding for an awesome day trip! We drive you to Aosta, where you can take the Gondola lift up to Pila.